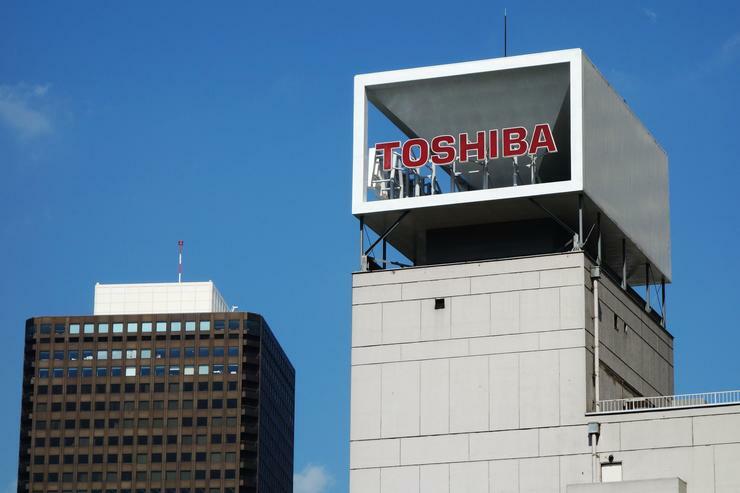 Toshiba has said it has agreed to sell its prized semiconductor business to a group led by US private equity firm, Bain Capital LP, a key step in keeping the struggling Japanese conglomerate listed on the Tokyo exchange. Toshiba said in a nighttime announcement through the exchange its board decided to sign a contract for the deal worth about 2 trillion yen ($22 billion), the latest and perhaps final twist in a deal that only hours earlier had seen the company leading toward an agreement with its US joint venture partner, Western Digital. The decision to sell the world's No. 2 producer of NAND memory chips, first reported by Reuters on Wednesday, was made at a board meeting earlier in the day. Just days ago, Toshiba Corp said it had agreed to focus on selling its chips unit to the group led by Bain Capital and South Korean chipmaker SK Hynix, although at the time, it also said it would not rule out a deal with other bidders. Western Digital, which jointly invests in Toshiba's key NAND memory plant but which has been at loggerheads with the Japanese firm for much of the auction - said it was disappointed as well as surprised at the development given its legal position. Toshiba has been desperate to sell the unit and cover billions of liabilities at its US nuclear unit Westinghouse. As recently as the beginning of this month, it was considering three competing offers, including one led by Taiwan's Hon Hai, also known as Foxconn. Read more Did Western Digital just win the bid for Toshiba's chip unit?